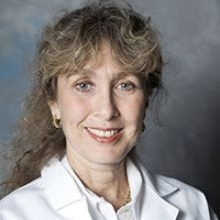 Dedra Buchwald, MD, has dedicated much of her life’s work to improving the health of underserved populations, including refugees, immigrants, and racial and ethnic minorities. She held a joint appointment as Professor of Epidemiology in the School of Public Health and a Professor of Medicine at the UW for 28 years. She now leads the Initiative for Research and Education to Advance Community Health (IREACH) at Washington State University, a large, integrated effort to improve the health of rural and minority people. As the founding director of the Partnerships for Native Health, one of the world’s largest research programs on American Indian and Alaska Native health, Dr. Buchwald led the development of a program of culturally appropriate research that spans a wide range of topics, including physical, mental health, addiction, health services, and social issues in Native communities. She now conducts research and interventions that target population health disparities and the social determinants of health, particularly among American Indians and Alaska Natives. At the UW ADRC, Dr. Buchwald is the Leader of the Satellite Core, which aims to characterize longitudinal prevalence, incidence, and associations among risk factors, brain abnormalities, cognitive function, and probable Alzheimer’s disease in American Indian elders that participated in the Strong Heart Stroke Study (SHSS) in Oklahoma, South Dakota, and Arizona. Her team also works with the ADRC Outreach Core to raise awareness of Alzheimer’s disease and provide relevant education to community members. This Satellite Core offers an unparalleled opportunity to assess Alzheimer’s in an understudied group of rural participants, and these efforts will contribute to a more accurate understanding of Alzheimer’s in these communities, setting the stage for improved detection, treatment, and prevention.